A few weeks ago we talked about change management (Do You Resist Change?) and how people needed control in order to stop resisting the change. 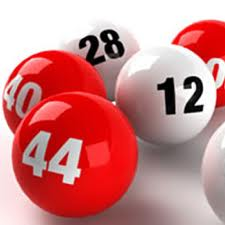 In a famous experiment where people were either given a lottery number or given the opportunity to choose their own lottery number it was determined that the value of choosing their own number was in fact 5 times more. Once again giving people control but this time putting a value on it. The conclusion from the study was: When we choose for ourselves, we are far more committed to the outcome – by a factor of five to one. An article in the Harvard Business Review by Scott Keller called ‘Increase Your Team’s Motivation Five-Fold’ gives some great examples where companies have used this human trait to create a sustainable vision for change for their companies. What are you trying to change? Perhaps using this approach will make it that much easier. I have often heard that working remotely – away from the office causes people to be more productive. Well there is new research in and it suggests that this is not always the case. Apparently when the task depends on creativity, productivity goes up in a less structured environment but the reverse is also true. So next time you need to accomplish some real creative stuff set yourself up in a really cool environment but to get those routine mind numbing tasks done better stay at the office. I came across a blog post by Swift To-Do List that I thought was interesting. The blog called ‘5 Counter-Intuitive Productivity Tips’ gives tips that make use of those laws behind the way we work. The first tip: Make sure your work is left unfinished is based on the Ziegarnik effect (see The Value of Focus). Another tip: Work less to get more done, is based on the studies that suggest humans work best in blocks of time and that you need to take a break in between those periods of focused work. I enjoyed the article and I encourage you to check it out for the rest of the tips. Posted on May 2, 2012, in Business Productivity, change management, employee performance, motivating employees, motivation, performance management, productivity, productivity tools and tagged Business, Change management, Performance management, Productivity, Ziegarnik effect. Bookmark the permalink. 3 Comments. I could not agree with you more, Janet. The way I’ve expressed the same concept for years in my mentoring of younger managers/supervisors in the management of change is that “People do not resist change; they resist being changed. A not-so subtle difference in the way it’s stated. We are all adults and realize from our own lives that change is inevitable, even stimulating. It’s just that we want to have input and some modicum of control over the change process”. Well said Mark. I actually really enjoy change so I always resisted the fact that others did not.